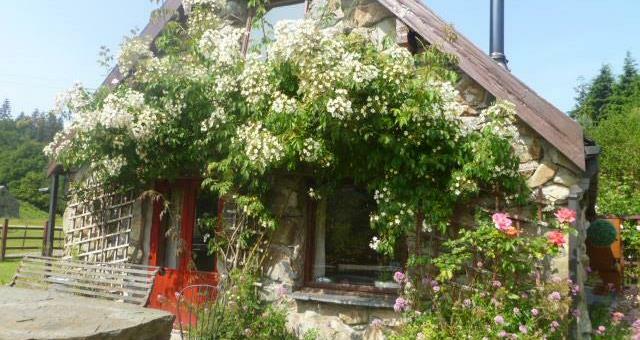 Helmau Cottages01341 423974work Self-cateringHelmau Cottages are situated 2 miles from Dolgellau within the Snowdonia National Park, and just 10 minutes walk direct to the spectacular waterfalls at Torrent Walk and near to Coed Y Brenin mountain-bike centre. Each Helmau cottage comes with Sky TV, a fully equipped kitchen and a separate lounge area. A washing machine, iPod docking station and garden with patio and furniture are also provided. Grocery delivers from a local supermarket can be arranged on request. Guided walks/runs are available from the cottages and cycle storage facilities are also offered. Shops and places to eat can be found in the town of Dolgellau and the beaches at Fairbourne & Barmouth are both within 10 miles. All cottages welcome dogs and in addition to an enclosed garden there is a enclosed paddock even with dog agility jumps included. Plenty of walks from the cottage and nearby. 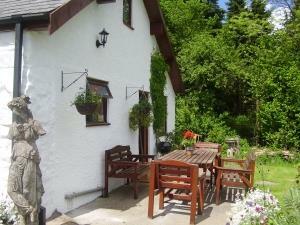 The cottages are all very child friendly with stair gates and enclosed gardens for safety. Toys are provided in Ysgubor and Ty Golchi and there is a outside communal play area. In Ysgubor there is a games room with pool table, table tennis and darts. Ysgubor and Ty Golchi have bedrooms and bathroom on the ground floor. There are handrails on the bath and near the toilet in Ysgubor. Y Stabal is a very cosy romantic getaway for couples, fairy lights included! Provide 'extras' upon request e.g. champagne, chocolates, flowers etc. The bird life is very active and we have bespoke bird tables in each cottage. The grid shows the prices and weekly availability for each unit. It's easy to check availability for particular dates, just use the Calendar to choose the start date, select the number of weeks and click the Search button. Click the Book Now or Book Direct button to book the highlighted days. Helmau Cottages are situated 2 miles from Dolgellau within the Snowdonia National Park, and just 10 minutes walk direct to the spectacular waterfalls at Torrent Walk and near to Coed Y Brenin mountain-bike centre. All cottages welcome dogs and in addition to an enclosed garden there is a enclosed paddock even with dog agility jumps included. Plenty of walks from the cottage and nearby Enclosed garden / Fenced area to walk dog Dogs allowed inside the property Pooch bags provided Children welcome from any age. By Car: On A470 2 miles from Cross Foxes and 3/4 mile from Esso Garage / Little Chef. Bus between Dolgellau and Aberystwyth stops at gate. Please note: Following the Sat-nav to LL40 2RE will unfortunately take you to the wrong address! The ground floor of the property is all on one level and there is plenty of room to manoeuvre a wheelchair with all doors having a clear opening of at least 800mm. Ground floor accommodation comprises of a lounge/kitchen/diner, a bedroom (not suitable for a wheelchair) with single and pull out single bed, one twin bedded room, one bathroom and one small shower room. The staircase (which rises in the hall) has a turn near the bottom and a handrail on the right hand side.